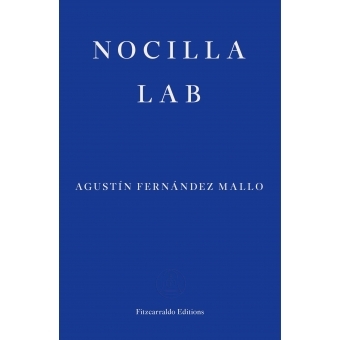 A landmark in contemporary Spanish literature, Agustin Fernandez Mallo's Nocilla Trilogy - NOCILLA DREAM, NOCILLA EXPERIENCE and NOCILLA LAB - presents multiple narratives of people and places that reflect the world in the digital age. In this third, standalone volume, we find the author bedridden in Thailand after being knocked down by a motorbike, an accident which fortuitously gave him the time and space to begin writing the trilogy. Seven years later, when he travels with his girlfriend to Sardinia, they come across an old penitentiary that has been converted into an agritourism site. In a tour de force reminiscent of Adolfo Bioy Casares' THE INVENTION OF MOREL, a story of suspense and exploration unfolds in the uninhabited hotel. From autofiction to horror story to graphic novel, NOCILLA LAB is a fitting conclusion to one of the most daring literary experiments of the twenty-first century.